See our full lineup of vehicles and find which one best fits you. Are you in search of a new Chrysler, Dodge, Jeep, or Ram? If so, you’ve certainly come to the right place. From local favorites like the new Jeep Patriot, Jeep Cherokee, RAM 1500, Dodge Journey, and Chrysler Pacifica, our Tampa Bay customers have easy access to a bounty of automotive beauties. We have a wide range of cars, trucks and SUVs in many styles and colors, with something to please all of our customers. 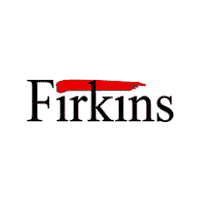 Firkins CDJR is also your pre-owned vehicle destination. We carry inexpensive used cars for those on a strict budget, as well as low mileage certified pre-owned vehicles. If you have a budget in mind, consider checking out our bargain inventory. All of the vehicles you see in our bargain inventory are priced to sell under $15,000. If you’re looking for trustworthy car service and repairs, look no further than our service department. The service center at Firkins Chrysler Jeep Dodge Ram is employed with highly trained automotive technicians who know your vehicle inside and out. If you would like to schedule an appointment, complete our online service appointment form or give us a call at 941-782-9397. For our customers who prefer to take on the job themselves, our parts center provides authentic OEM parts for your Chrysler, Jeep, Dodge, or Ram. Please feel free to fill out our parts order form, and do not hesitate to reach out to one of our specialists if you have any questions.